The very talented Inslee Haynes has been illustrating for Jane Scott and Leontine Linens for years. 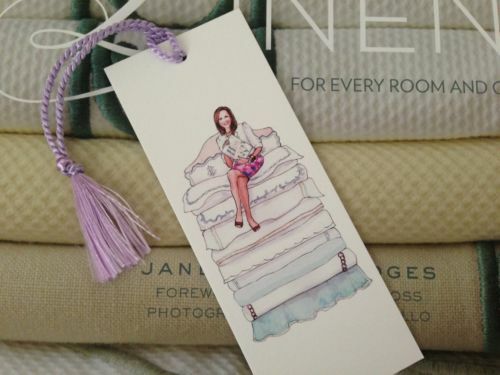 Her gorgeous illustrations are not only featured in the table of contents and the back pages of LINENS, her very cute interpretation of the princess and the pea has become the party favor of the century, by way of our chic signature book mark. Check out Inslee's beautiful illustrations on her website.